Wellcome exists to improve health for everyone by helping great ideas to thrive. It is a global charitable foundation, both politically and financially independent, supporting scientists and researchers, taking on big problems, fuelling imaginations, and sparking debate. Epidemics are among the greatest threats to life, our health and prosperity. Yet the SARS, Ebola and Zika crises exposed fundamental weaknesses in our ability to prevent and respond to epidemic diseases. To address this, Wellcome – one of the world’s leading funders of medical research – alongside a range of governments and organisations including the Bill & Melinda Gates foundation, established CEPI: the Coalition for Epidemics Preparedness Innovations. To achieve its mission to ‘stop future epidemics by developing new vaccines’, CEPI needed a campaign that could get the issue to the top of the world’s agenda and gain support and investment from the world’s decision makers. But there would only be a small window to appeal to this elite audience during its official launch at Davos. Strategically, we decided that a consumer campaign could grant serious social currency to an initiative actually aimed at a small number of change-makers. 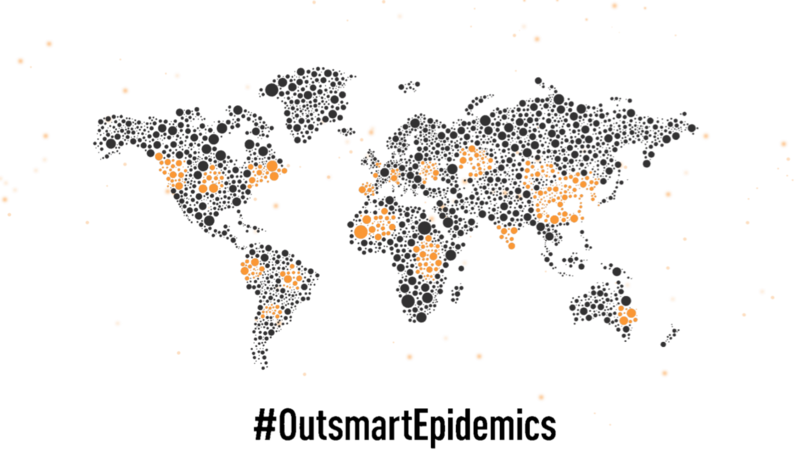 Keeping our tone positive and thought-provoking, we created ‘Let’s #OutsmartEpidemics – a campaign wrapper that personified epidemics as a defeatable threat, reflecting the great achievements of our past and showing a solution in collective effort. It also explained our aims, made the urgency clear and used ‘Outsmart’ to underline R&D as critical to victory. Prior to the launch of the campaign we reached out personally to our ‘super-influencers’, asking them to be involved. On the day of the launch we re-contacted them with a link to the animation and asked them to share across their social networks. As well as organic spread, we built a bespoke social media-buying plan to accelerate sharing of our video, targeted at a specially constructed audience of 13m ‘global health interested’ (created using analysis of Facebook and Twitter profiles across 12 target countries). We also directly targeted high-level elite attendees via # targeting and twitter group targeting. The buying strategy was dynamic; with A/B testing throughout, allowing us to judge which channels and messages were performing best, and direct spend into the prime performing routes. CEPI secured $150m of funding at Davos and the EC committed to put forward a further $200m for member state approval.